Saltwater Tales, by John Unkart, will help you catch more fish. Period. How many times have I clogged up this blog with a book review? Um… never. And truth be told, that’s because it’s pretty dang rare I run across a book I like so much I really want to share it with the world. Right now, however, one such book is sitting right here on my desk: Saltwater Tales. I have to admit that I only heard about this book because the author, John Unkart, is a friend of mine. We met on the docks some 20 years or so ago, when my boat got placed in the slip two down from the charter boat Unkart was working on, the Strike III. He was the full-time mate, a position he held on that boat for about 10 years, and on other boats, for another 10. He retired not too long ago, and now, he’s sharing his hard-won fishing knowledge with the world. Saltwater Tales is actually his second book; the first, Offshore Pursuit, is a nuts-and-bolts how-to offshore fishing guide which covers everything from how to tie a Bimini Twist to what lures work best for king mackerel. This latest book, however, is pretty evenly split between bay, inshore, and offshore fishing. (Yes, it is all saltwater, though – and he even covers surf fishing quite a bit). He also goes a bit beyond the how-to aspect of fishing, and weaves the fishing information into memorable events that took place at sea. All, of course, involving the catching of a fish. In an age when apps, phones, and computers rule the world, it’s become a bit unusual to run across a fishing book I like this much. Sure, I’m biased, but I also learned quite a few tips and tricks while reading Saltwater Tales—and more importantly, I was thoroughly entertained. If nasty weather comes to town and you get a dose of cabin fever, you won’t regret having this book sitting at your desk. I know I don’t. 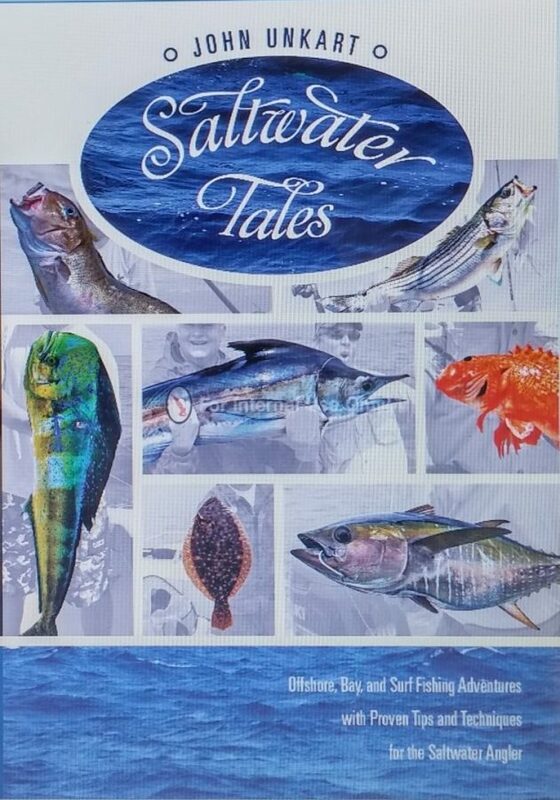 Price is $24.99; you can order Saltwater Tales online at Amazon or via Schiffer Publishing.